AFM wants to know if you're prepared halt an evil onslaught by a never ending horde of mindless, flesh eating Zombies in an apocalyptic wasteland? Whether you're into exposed entrails or decaying Death, this issue is going to make your skin crawl all the way to Pittsburgh and back! 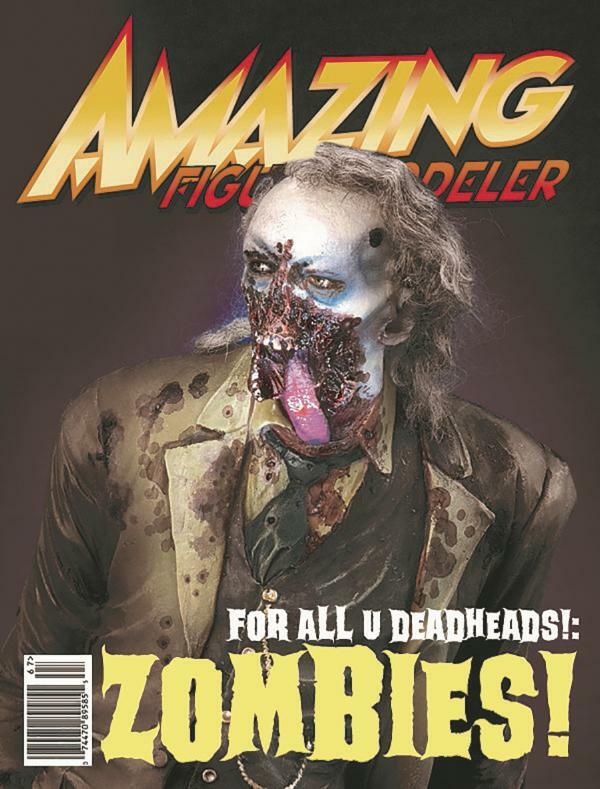 Headlining our flesh ripping, vomit inducing issue is none other than the Walking Dead's Greg Nicotero! He'll spill his guts on all the disgusting details of how the KNB EFX Group became Horrordom's go-to-SPFX Studio, The Walking Dead TV series, as well as his love of models, movies and a whole lot more. Rest assured, a foul stench will arise that could gag a maggot!